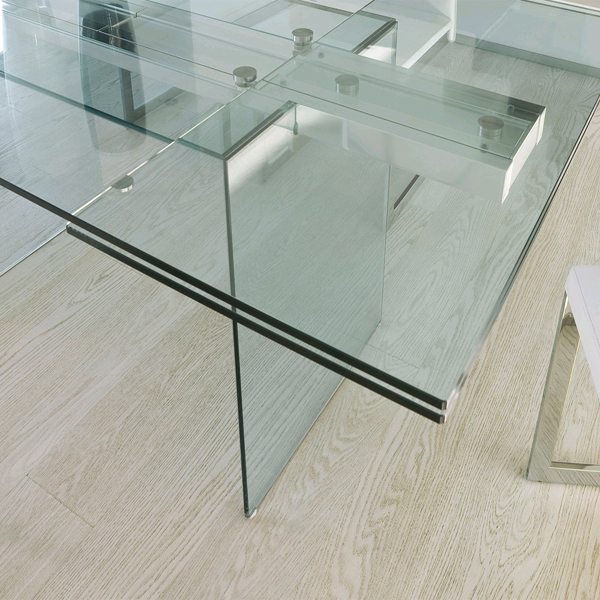 Extending dining table with a chunky glass base. Rectangular top with 2 lateral extension leaves, all in extra clear glass. Extension mechanism in shining aluminium.